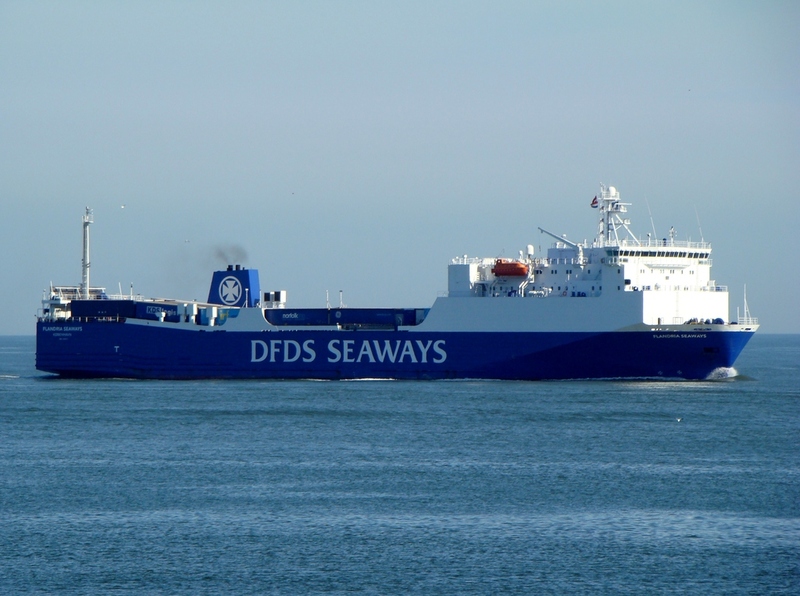 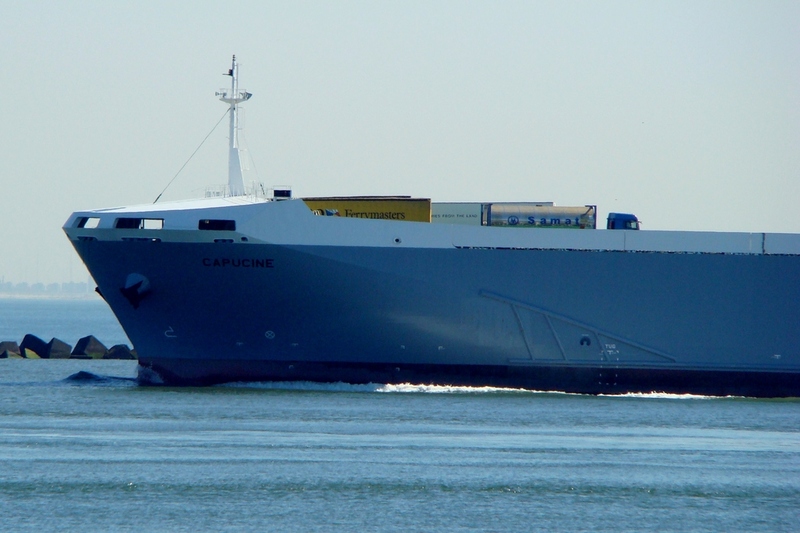 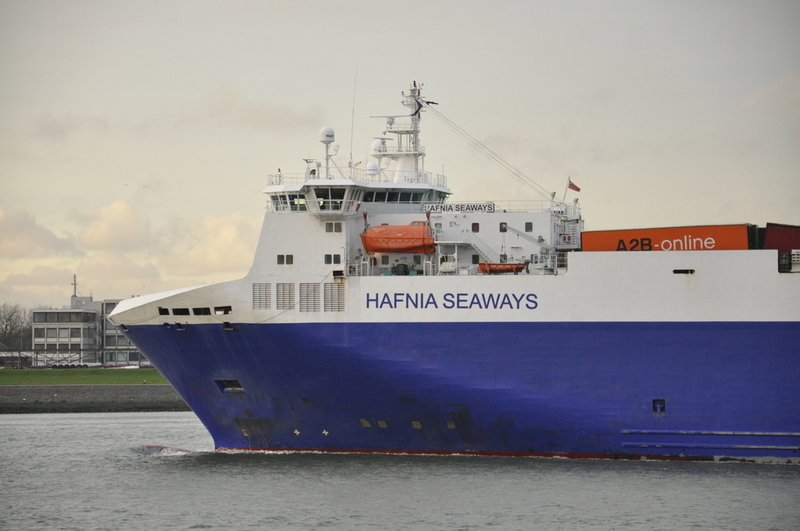 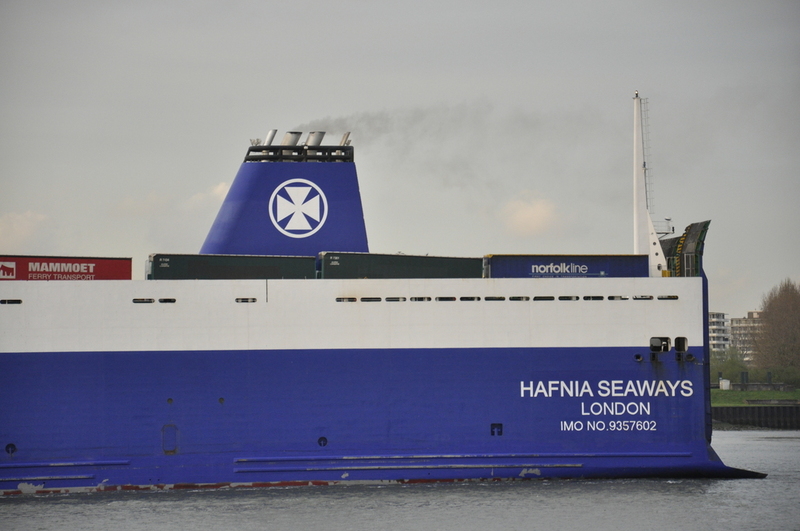 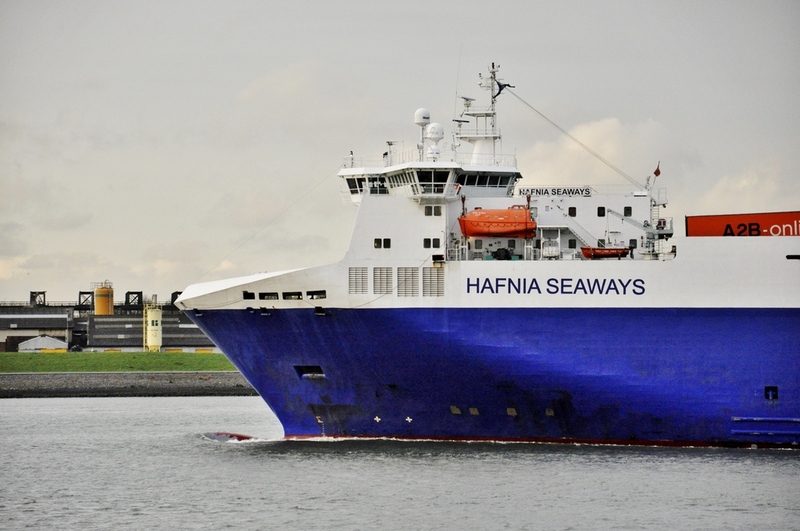 ''hafnia seaways'' on the ''nieuwe waterweg'' outbound from Rotterdam. 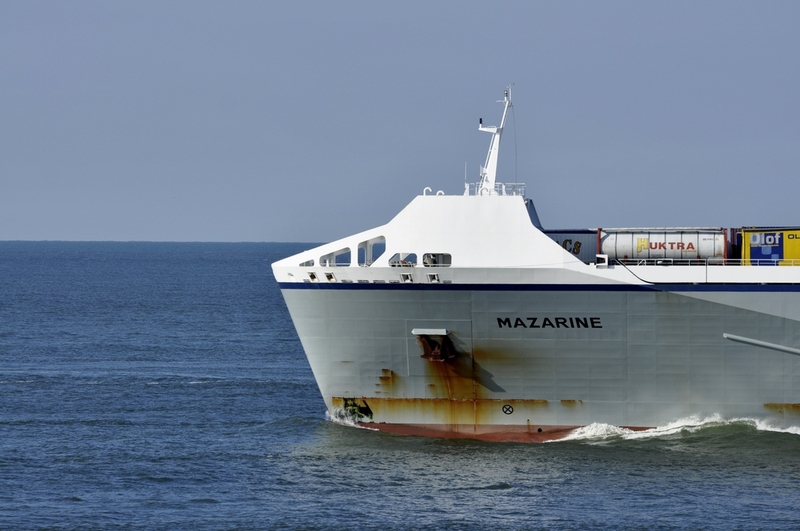 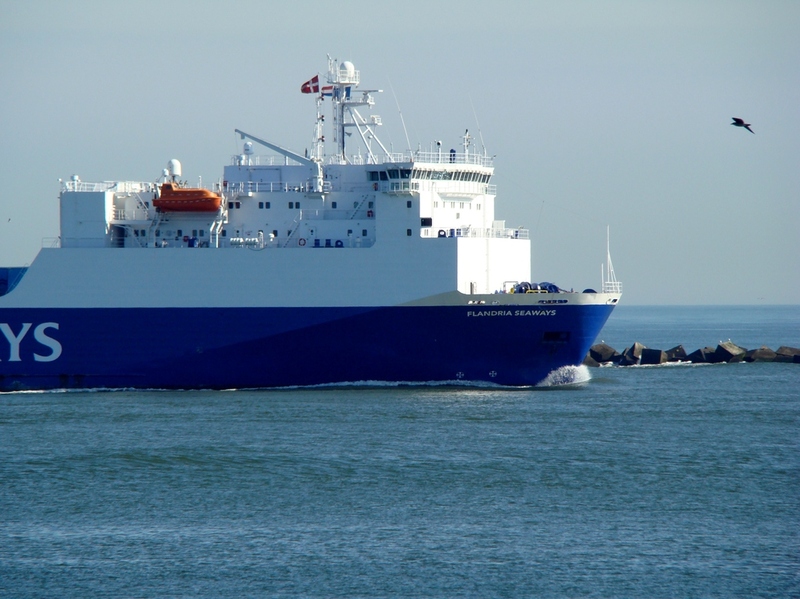 Autosky 9206774 close to Zeebrugge. 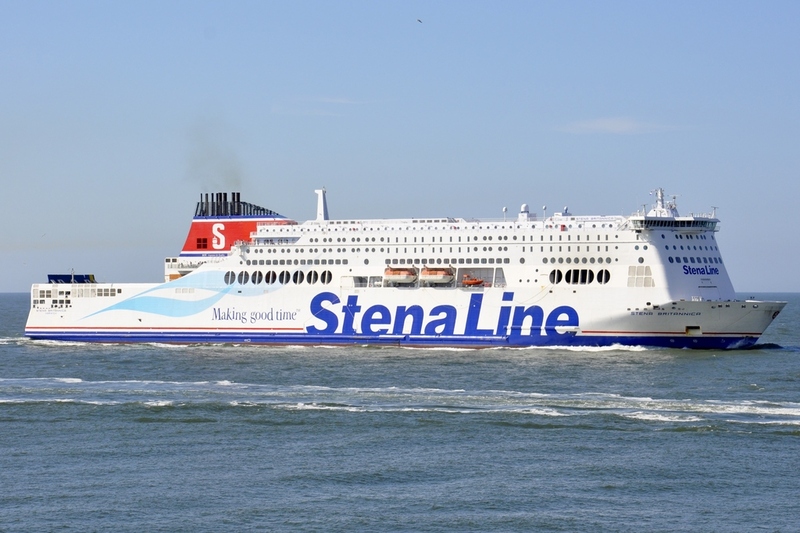 Good to see the Europoort and Hoek ferries still plodding on, looking good, with reasonable loads and quite a lot of competition between Stena and P&O. 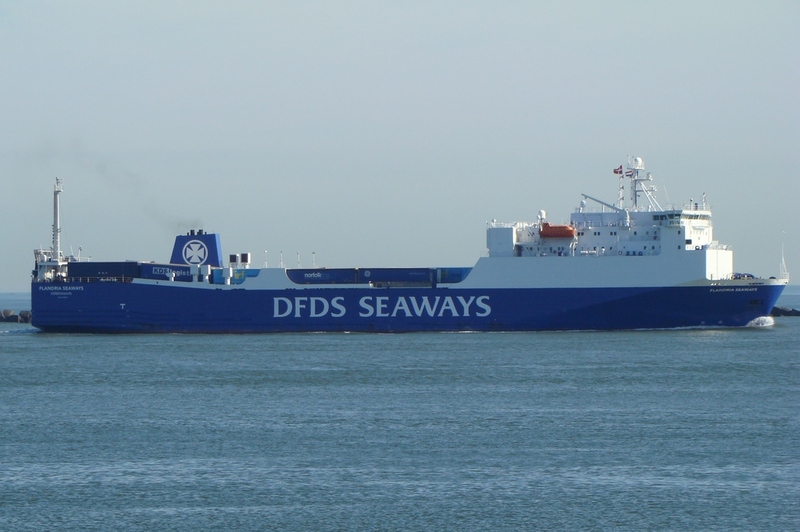 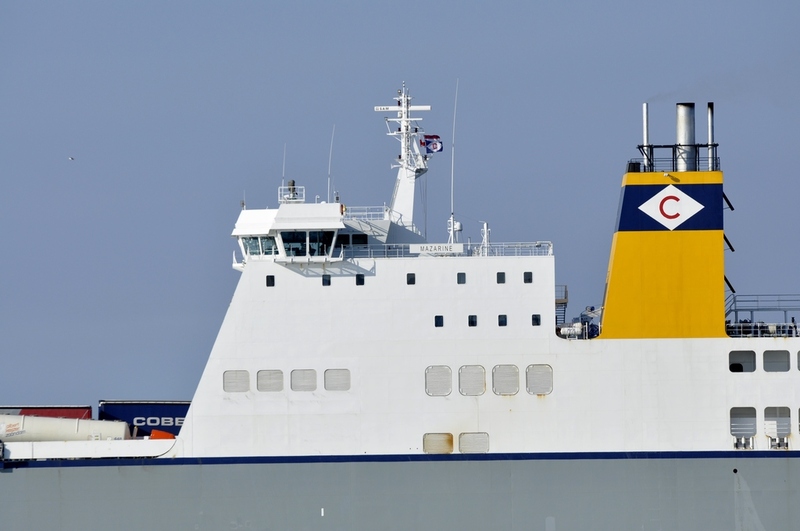 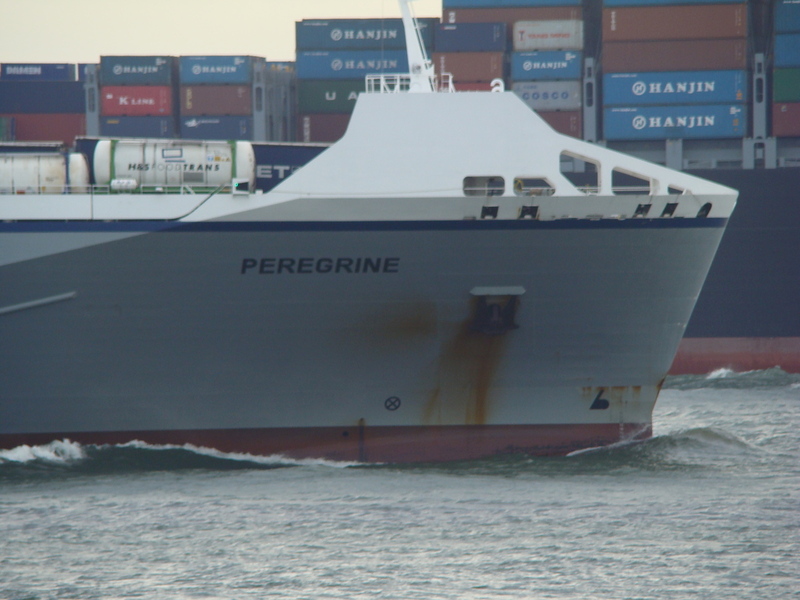 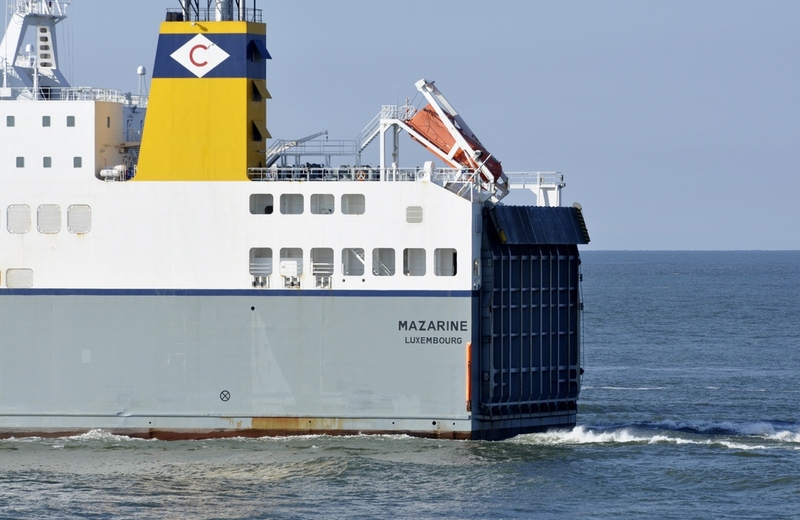 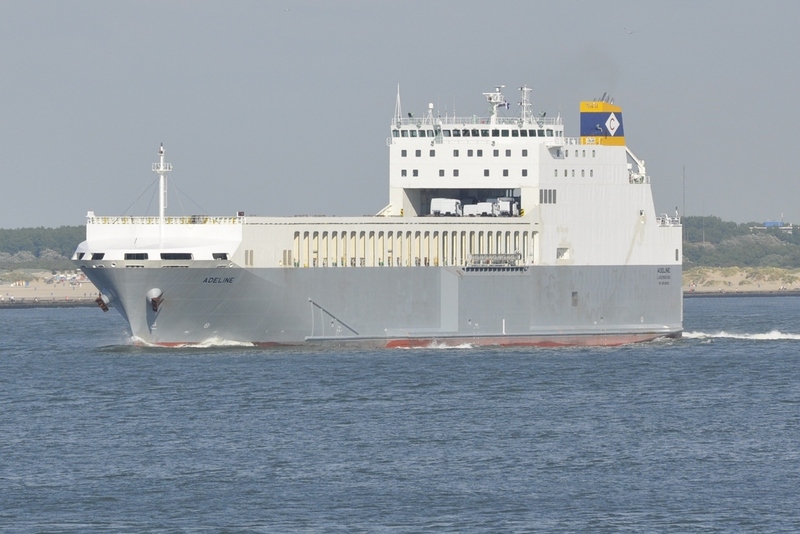 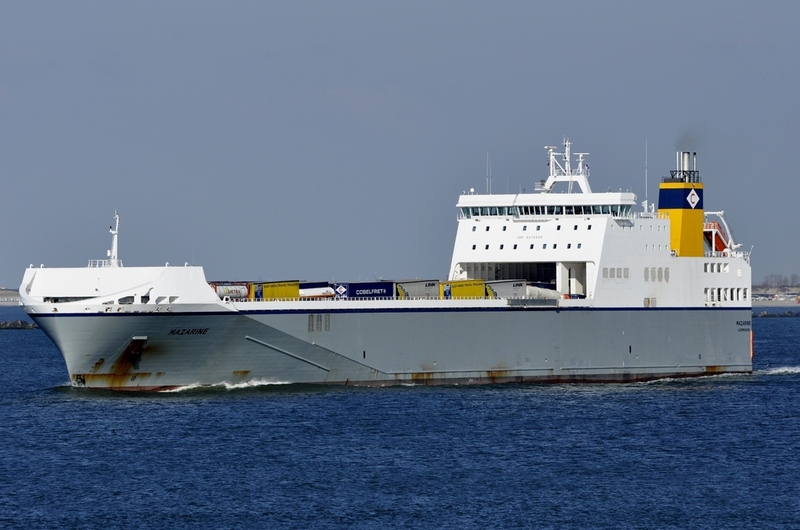 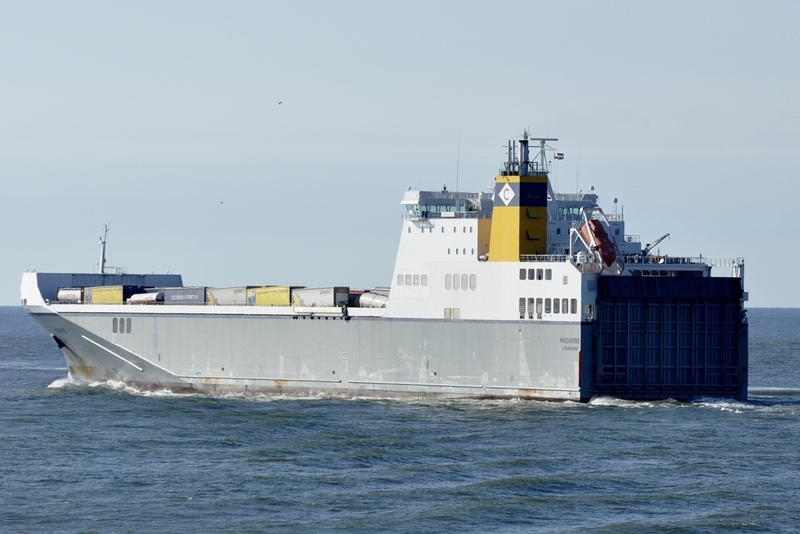 It's still not clear what's going on with the short sea Dover / Calais / Dunkerque routes, with Seafrance's future less than certain - P&O and DFDS continue with a reasonable degree of success, but there are still two P&O short sea ships laid up in Tilbury. 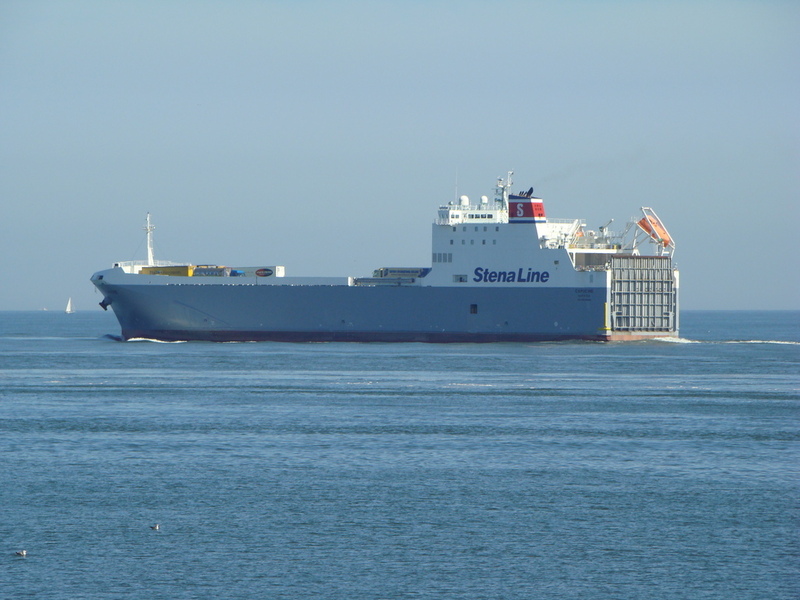 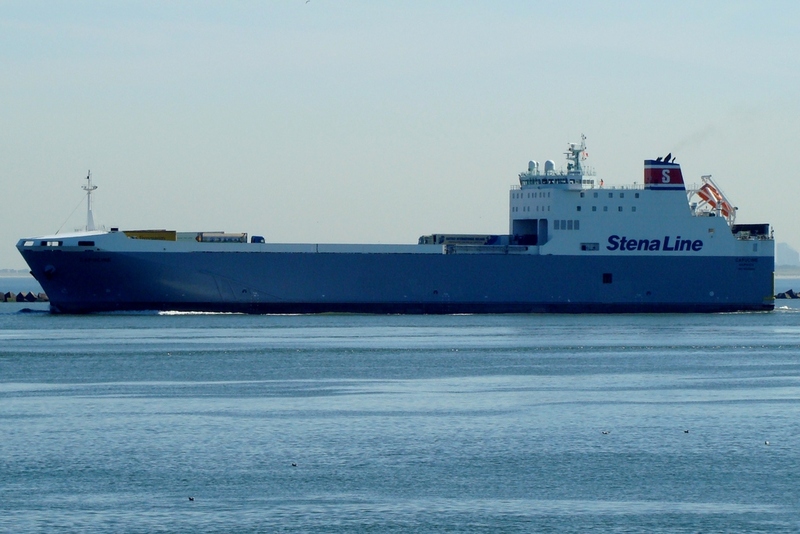 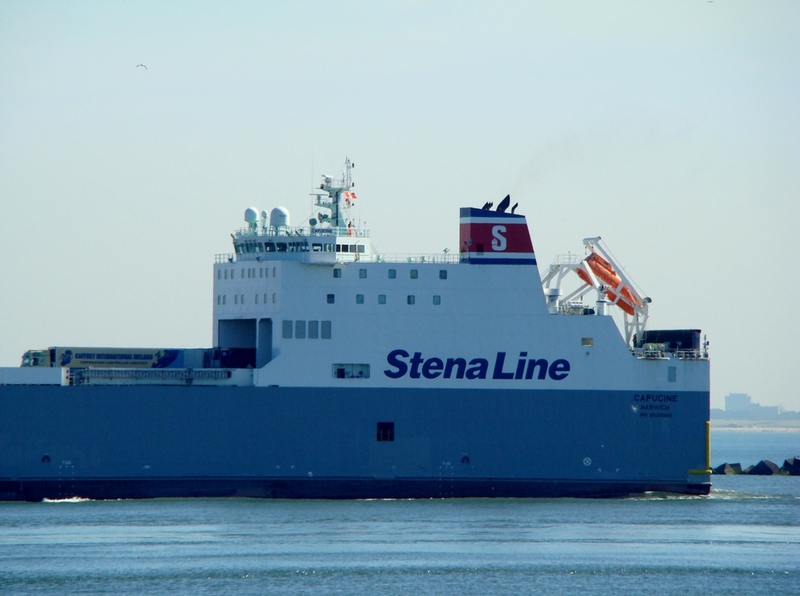 I know that the big Stena ships look a bit industrial, but they are at least clean and fresh. 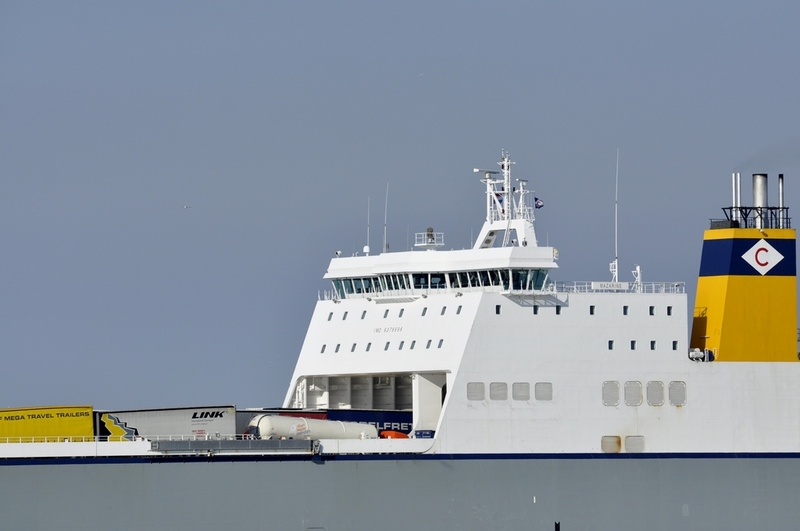 i think that the canaltunnel is finally working in a way (not by truckdrivers) they had planned,Mark,but at some time in the morning and evening it's ferry rush hour here. 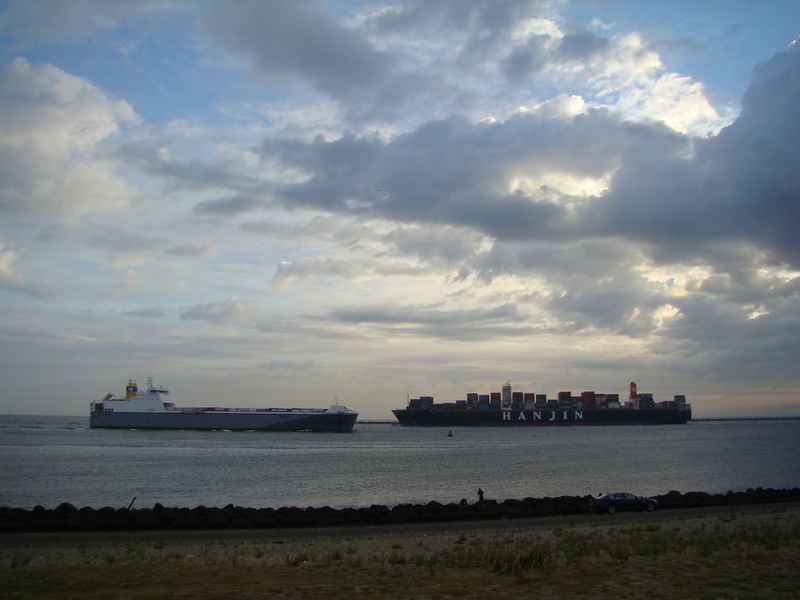 ''perigrine'' is sailing in ,while the ''hanjin gold'' is sailing out,on a Sunny morning in Rotterdam.